Testing is an important part of any effective anti-doping program, and the area that most often comes to mind when thinking about anti-doping. 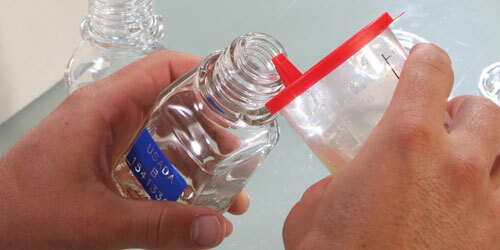 From test planning and collection of a urine or blood sample, through the results managements process, USADA provides a thorough program, with policies and procedures in accordance with the World Anti-Doping Code, the WADA International Standards, the United States Olympic Committee Anti-Doping Rules, and the USADA Protocol for Olympic and Paralympic Movement Testing. Whereabouts is information that allows an athlete to be located for out-of-competition testing. Athletes can be tested 365 days a year without advance notice. Athletes are required to inform USADA of their daily regular schedule and must report any changes. Sample collection is one of the most important aspects of USADA’s testing efforts. A member of USADA’s education team delivers a presentation to athletes. USADA provides extensive anti-doping education to thousands of athletes each year and can make available its educational tools, resources, and dedicated education team to organizations looking for contract testing services. Education helps athletes and support staff understand their rights and responsibilities as well as what to expect from the drug testing process. Topics include prohibited substances, TUEs, and sample collection among others. 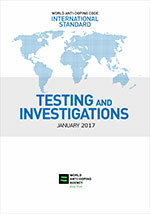 As a signatory to the World Anti-Doping Code, USADA provides athletes with an avenue to apply for a therapeutic use exemption (TUE) or medical exemption to a prohibited substance through a process that is compliant with both the World Anti-Doping Code and the WADA International Standard for Therapeutic Use Exemptions. The process is designed to balance the need to provide athletes access to critical medication while protecting the rights of clean athletes to complete on a level playing field. All samples collected are shipped to WADA-accredited laboratories for sample analysis, which meet the highest standards globally. This is the the crux of any contract testing program. Work with USADA to have us plan and implement an effective drug-testing program for your competition or athletes. USADA is a signatory to the World Anti-Doping Code and has collected nearly 100,000 blood and urine samples in our 14-year history. Our team of approximately 50 doping control officers, stationed throughout the country, have the expertise to ensure a smooth experience for your event. USADA can provide results management and adjudication services consistent with the World Anti-Doping Code and International Standards. This service provides an importance piece of independence and protects event organizers from the conflicts of interest that come with both promoting a sport and having to police drug cheats. USADA’s results management process also affords athletes a full and fair legal process for anti-doping rule violations including independent arbitration, and results are recognized by the more than 600 WADA Code signatories globally. There are a number of additional services and factors which make USADA the gold standard, and clear choice for anti-doping services. 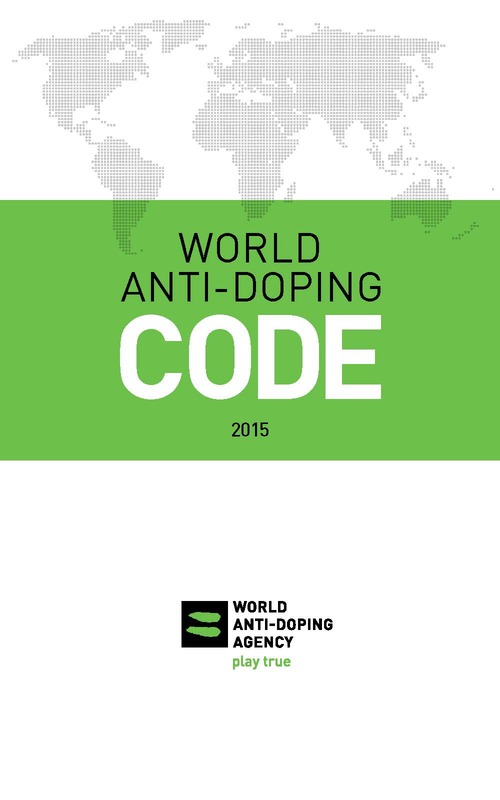 The core document outlining anti-doping rules, policies, and procedures globally. The ISTI ensures effective testing from test distribution planning to transporting samples for analysis. 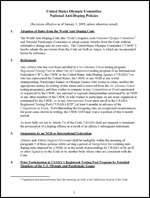 Outlines the anti-doping policies for the National Olympic Committee of the United States. The USADA Protocol for Olympic and Paralympic Movement Testing outlines USADA's policies and procedures for testing. What athletes is USADA responsible for testing and results management / adjudication or what athletes fall under USADA's "jurisdiction?" Is participating at anevent or competition sanctioned by the USOC or a USOC-recognized sport NGB or participating at an event or competition in the United States sanctioned by an International Olympic Committee-recognized international federation (IF) for sport. How does USADA determine whom it will test? Resources aimed at the detection of doping may be specifically targeted. USADA retains the right to test any athlete at any time. In-Competition testing plans are primarily developed by coordinating with each national governing body (NGB) and are often in accordance with the rules of the international federation (IF). Athletes may be selected for testing by USADA based on criteria that typically includes established rules set forth by each IF. An example of how athletes would be selected for in competition or event testing could be: placed finishers, such as the top three finishers and randomly selected athletes, such as 5th, 7th, 12th, 18th, 19th,etc. USADA’s test distribution plan establishes the number of tests per sport based upon the number of athletes in the USADA Registered Testing Pool and in evaluation of the International Standards. USADA also carefully considers selection formulas or requests for target selection of particular athletes which are proposed by the USOC or a particular NGB. 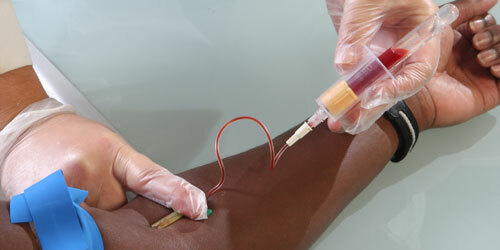 Tests are then allocated to periods throughout the year when OOC testing is most effective. A registered testing pool (RTP) is a pool of top-level athletes who are subject to both in-competition and out-of-competition testing as part of a test distribution plan and must provide whereabouts information. USADA’s RTP is updated at a minimum each quarter and is chosen in conjunction with recommendations proposed by each sport national governing body. USADA notifies all athletes of their inclusion in the registered testing pool, after which it becomes the responsibility of the athlete to forward their whereabouts filing and thereafter to provide USADA with updated information specifying their whereabouts. USADA’s RTP is broken into two pools, which affects whereabouts responsibilities. For more information on whereabouts responsibilities please click here.